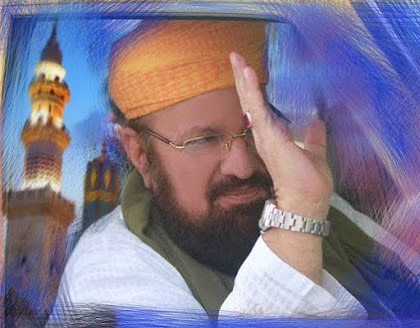 “One night, which was the 15th of Shabaan, I did not find the Beloved Prophet [Sallal Laahu Alaiehi Wa Sallam] in the house so I went in search of him. After a long search, I found him in Al-Baqee' (the cemetery of Madeenah Shareef) offering Du’a for the deceased and praying for their forgiveness”. 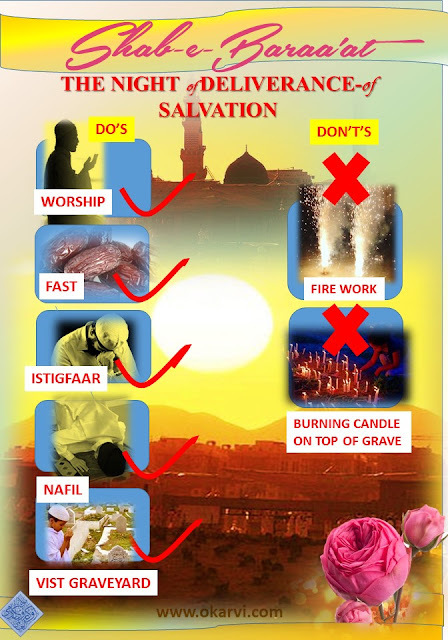 A special point must be made to visit the cemetery during this night and pray for the deceased buried therein, as the Most Beloved Prophet [Sallal Laahu Alaiehi Wa Sallam] is been reported as having visited the cemetery on this night and spending a long time therein, lamenting, reading and praying for the deceased. It is narrated that the departed souls (Arwaah) of the Muslims visit the houses of their friends and relatives on this night and proclaim: “O people of the house! You stay in our houses and enjoy the wealth that we have left behind. You use our children and take work from them, please perform our Ieesaal e Sawaab. Verily our deeds have become complete, while your record of deeds is still spread”. The 15th night of Shabaan is a very blessed night. 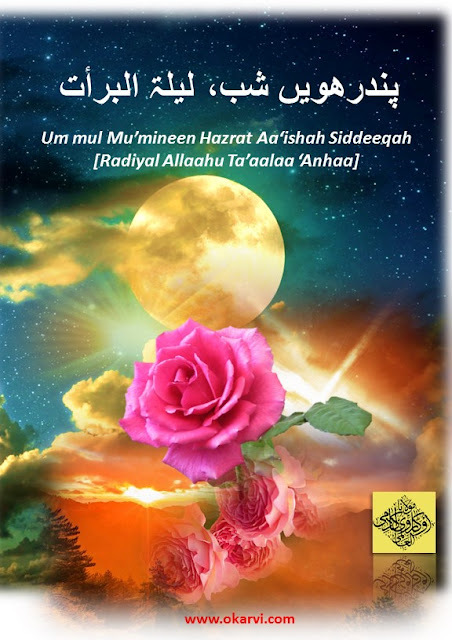 According to the Hadees Shareef, the name of this Mubarak night is “Nisf Sha'baan” which means 15th night of Shabaan. 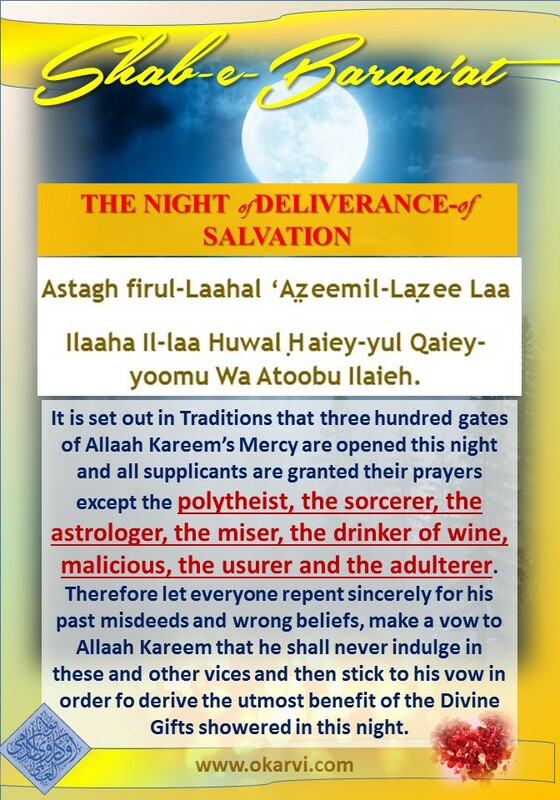 The reason for this special night to attain its name of Laiela tul Baraa’at, meaning the Night of Salvation, Seeking Freedom from Torment and Calamity, is that in this night the blessing and acceptance of repentance may be accomplished. Laiela tul Baraa’at in Persian, as well as in Urdu, is called Shab-e Baraa’at. It is the special night of seeking forgiveness and repenting to Almighty Allaah, remembering our past sins and sincerely settling the mind that one will never commits sins in the future. All the deeds that are against Shari’ah must be totally avoided so that our Du’a and Astaghfaar, hopefully, will be accepted. 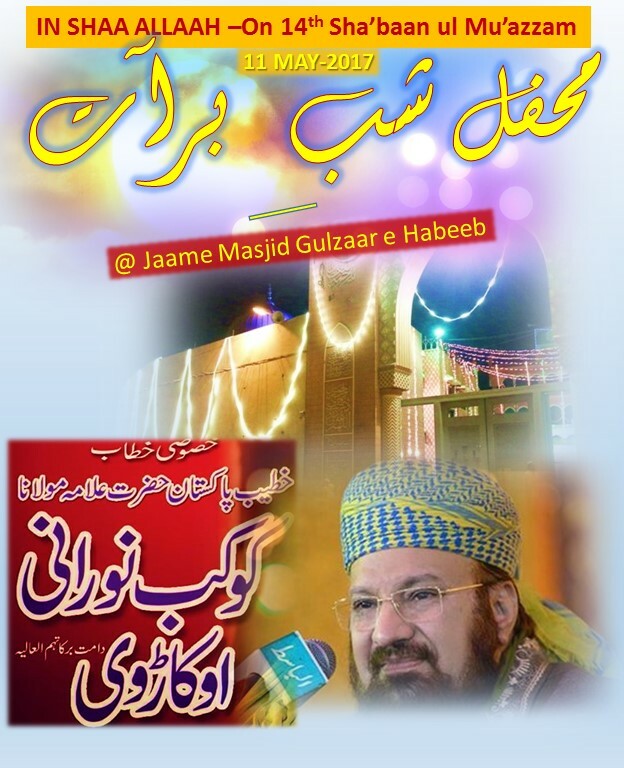 Shab-e-Baraa'at is about to come. On this night, the deeds of all servants are presented in the Exalted Court of Allaah Kareem. For the sake of our Beloved Rasoolul Laah (Peace and Blessings of Allaah Kareem be upon Him), Allaah Kareem forgives the sins of the Muslims except that of a few. Among these are those two Muslims who bear mutual hostility for some worldly reasons. Allaah Kareem says: ‘Leave them as they are, until they mend their relations’. It is very sad to see that Muslims carry out good deeds and then allow Shaietaan the opportunity to lead them astray. Commonly before the night of Sha’baan has even arrived, the buying of fireworks begins. We don’t realize that we are doing bad deeds, even though we know that this is completely against the Islaamic law. On this pure night only a wise person will say no to the buying of these fireworks. 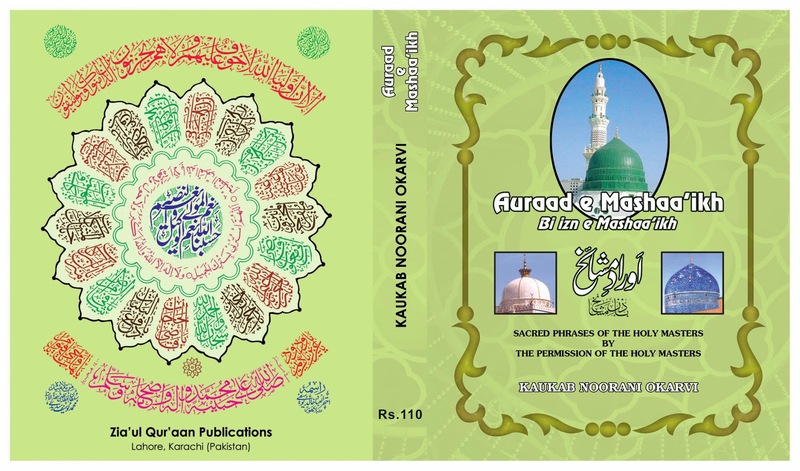 In the Holy Quraan, we are strongly forbidden from wasting our money and people who do not spend their money wisely are described to be the brothers of Shaietaan. Wasting money unnecessarily is a huge sin and Haraam, and on Shab-e-Baraa’at this act is further more disliked, haraam and sinful. May Allaah Kareem give the strength to His people to stop buying these fireworks and unnecessarily wasting so much money. May He give us the strength to spend that money in the path of Allaah Kareem. 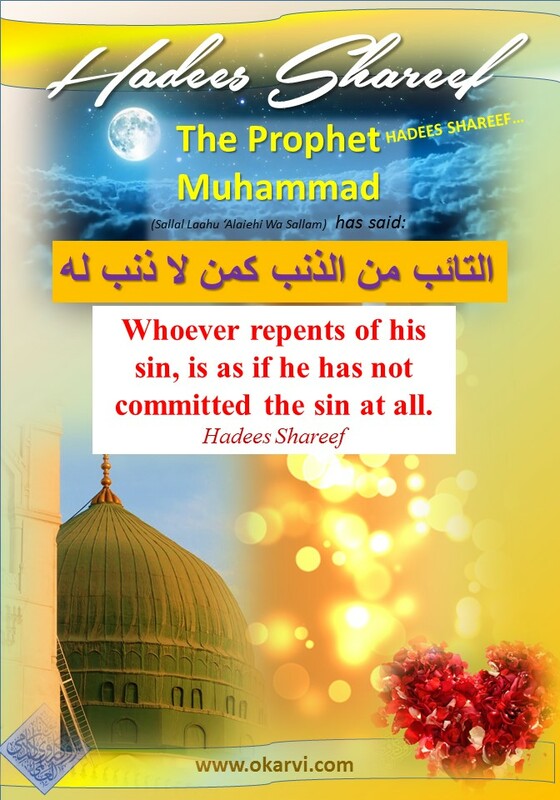 Whoever repents of his sin, is as if he has not committed the sin at all. The fifteenth night of the month of Sha’baan, commencing with sunset, is a highly auspicious night. It is known as Shab-e-Baraa’at – tha Night of Deliverance from sins. Authentic Traditions reveal that the account of a person’s activities of the last year is closed this evening and simultaneously fresh account is opened for the New Year. In this night Allaah Kareem passes of His Knowledge of every individual’s activities in the year ahead to the angels concerned. It is revealed to us in Traditions that in this night Allaah [Ta’aalaa] proclaims: Is there any seeker of deliverance from sins? Then I forgive him his sins. Is there any seeker of happiness? Then I make him happy. Is there any seeker of provisions? Then I provide him with provisions. Is there any seeker? Is there any seeker? The giver is bent upon giving In this night. Where is the taker? If the taker is sleeping, he is the loser. Therefore, Almighty Allaah’s Beloved Prophet (Blessing of Allaah Kareem and Peace be on him), the Mercy for the universe, has advised is to keep awake the whole night and occupy ourselves in the recitation of the Holy Qur’aan, voluntary namaaz (Nafl), visiting the graveyard and putting forth supplications before the Almighty Allaah for the fulfillment of our material as well as spiritual desires. It is set out in Traditions that three hundred gates of Allah’s Mercy are opened this night and all supplicants are granted their prayers except the polytheist, the sorcerer, the astrologer, the miser, the drinker of wine, malicious, the usurer and the adulterer. 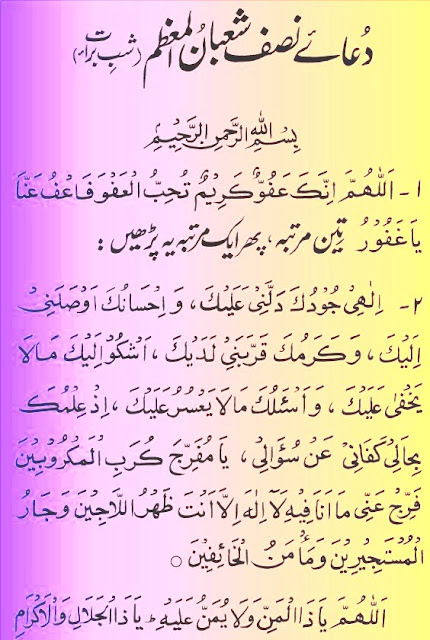 Therefore let everyone repent sincerely for his past misdeeds and wrong beliefs, make a vow to Allah that he shall never indulge in these and other vices and then stick to his vow in order fo derive the utmost benefit of the Divine Gifts showered in this night.